"From the start, everyone at Frank was knowledgeable, creative, enthusiastic and most importantly, they listened! They made time for face to face meetings and discussions, scheduled in training and ‘show and tells’ around us and were patient with all of our queries and requests. Nothing was ever too much trouble, and they were always more than happy to come up with creative solutions to any weird and wonderful idea or problem we had. Throughout the project there were tweaks and changes and if we ever encountered any issues, they were on board to help us fix them ASAP. 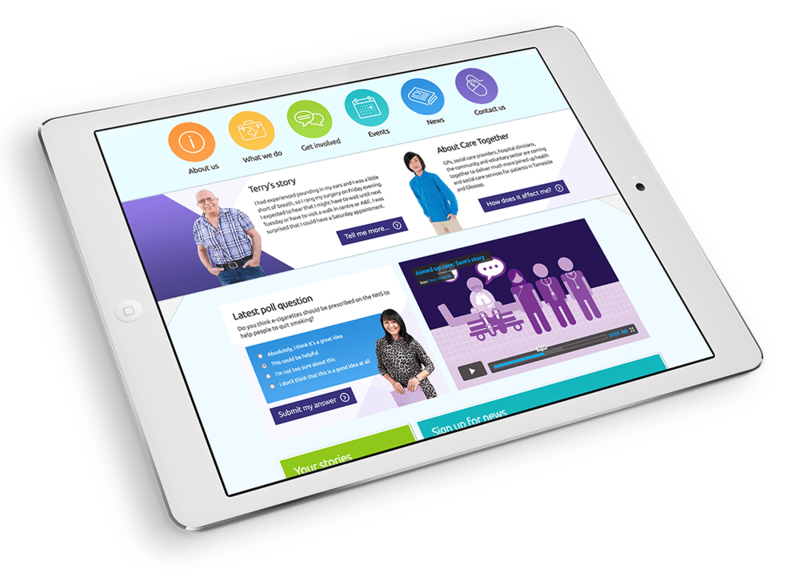 The final products are exactly what we wanted – we now have a modern, user friendly, accessible and informative website; and a functional, fun extranet which is mobile/tablet friendly and includes an intuitive search function. We’d recommend the team at Frank to anyone – down to earth, funny and they know their stuff." 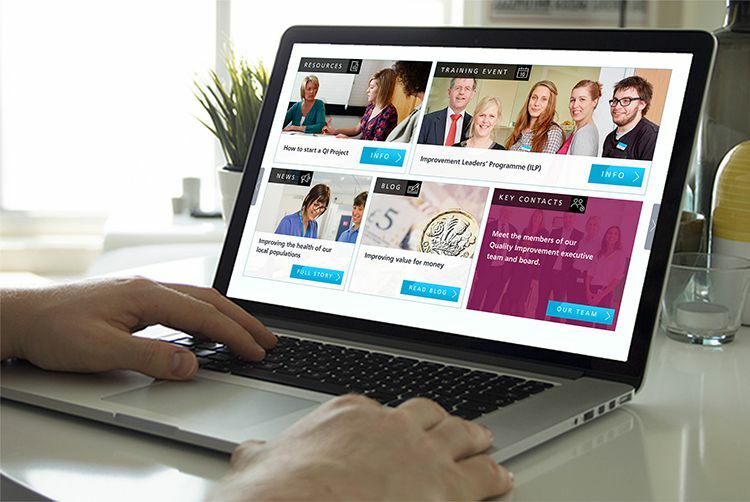 "We worked with Frank to design and develop a new public facing website for our organisation. Frank were a pleasure to work with and guided us throughout the duration of the project. They communicated regularly providing updates and ensuring that we were happy with the design and functionality every step of the way. The project communications tool they employ is a very useful and allowed for issues and queries to be recorded and responded to in a structured way. It was obvious from our first meeting that Frank is experienced in working with NHS clients and therefore had a good understanding of what the requirements of the site would be. They have continued to provide excellent support since go-live and are always respond positively to any issues or requests we may have." 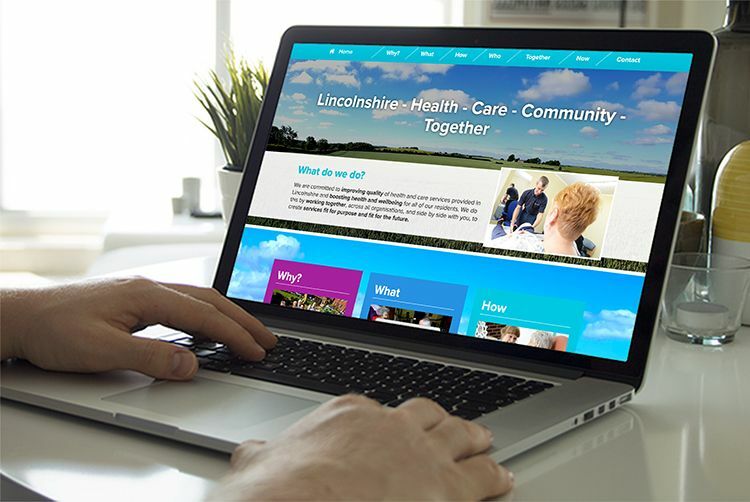 “On behalf of the Lincolnshire STP, we would like to thank the team at Frank Health for working so closely with our team to design and build our new website. The project communications system and near immediate response to queries and requests was excellent and gave us confidence and assurance throughout the build process. “We have developed a microsite for targeted recruitment and with the expertise and support from Frank we have had some excellent feedback. 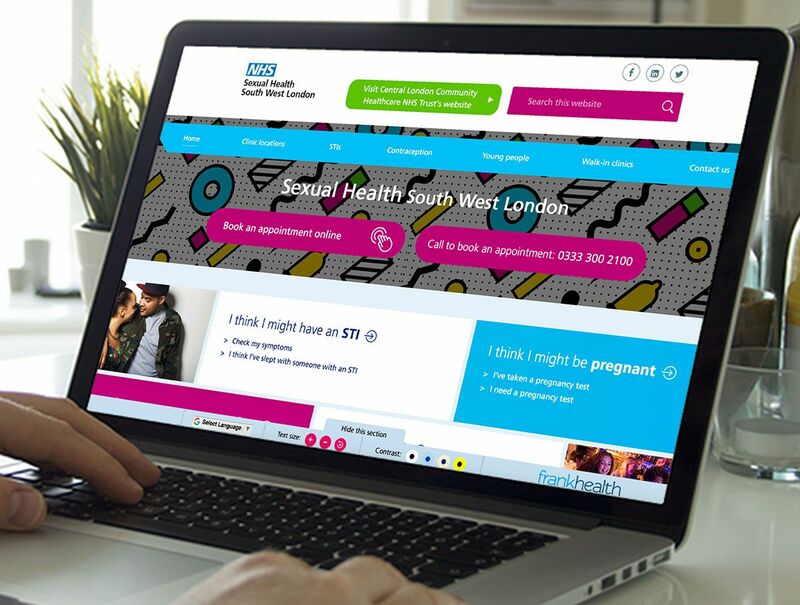 “Frank have been a pleasure to work with, the team that have developed our new trust and sexual health websites have been exceptionally responsive and have always delivered to the highest possible standard. "Thank you so much for helping us to create this site. You have all been wonderful." 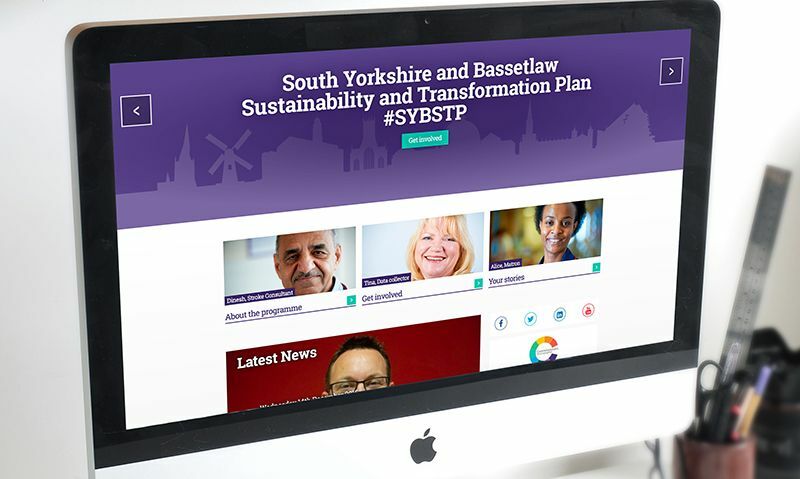 “From our initial meeting, through to the development and launch of the website, the team have put our 'blue sky' idea of a website into reality. Our new website had to tick many boxes for a range of audiences, and Frank have helped make this possible. “We're really pleased with the new website and the support offered by the team at Frank. We had a quick turnaround time and they delivered at every stage to keep the project on track without any concerns or delays. A really nice team to work with and the project management system was really helpful too so we kept in regular contact." "The team at Frank were really professional and always very responsive when we had changes and queries. The whole process from start to finish went really smoothly and the website went live as planned. We are delighted with our new website and are particularly pleased with the fact that we can make our own changes in future." 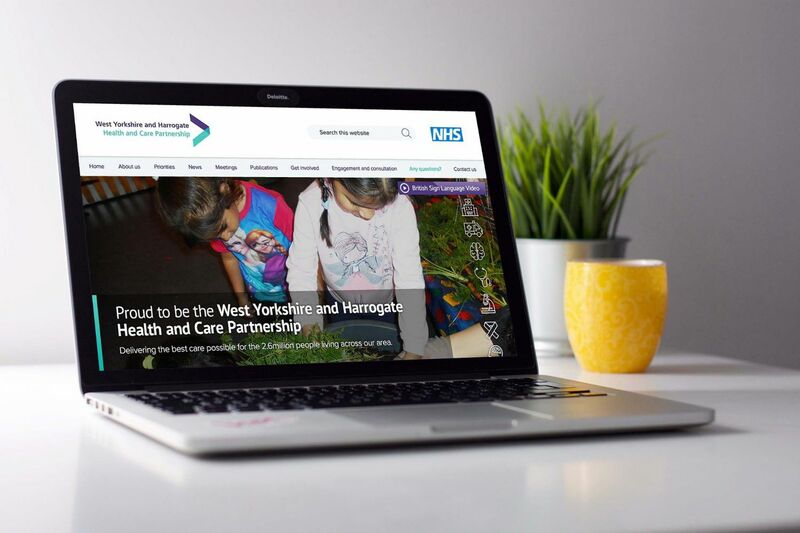 “It was a pleasure to work with Frank on the development of the West Yorkshire and Harrogate Cancer Alliance website. “After a competitive selection process, Frank came out on top as our chosen supplier. 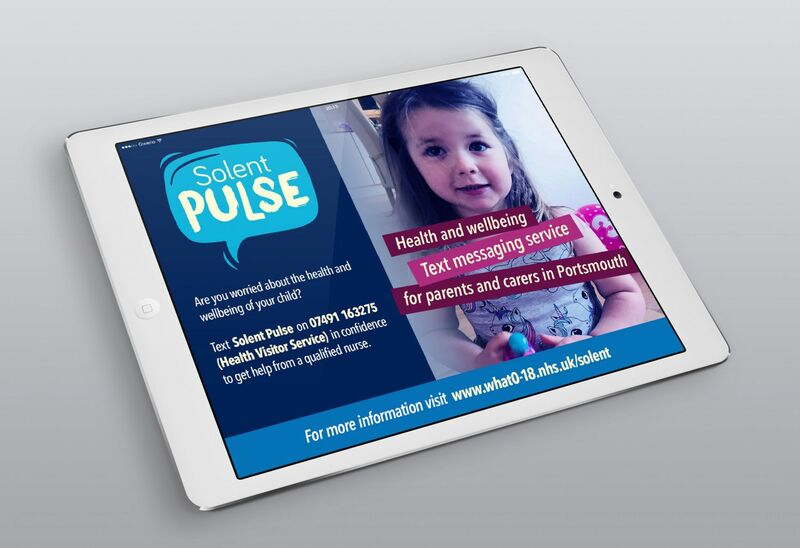 It was clear they would not give us an off the shelf solution – they were going to make sure they understood the context we work in, the audiences we were trying to reach, as well as the digital experience of our organisation. I believe the finished product is evidence their approach works, and we are very happy with the website they have built for us. As with every project of this kind (or any project come think of it) changes were requested on our part as we got deeper into the project and understood our audiences better. 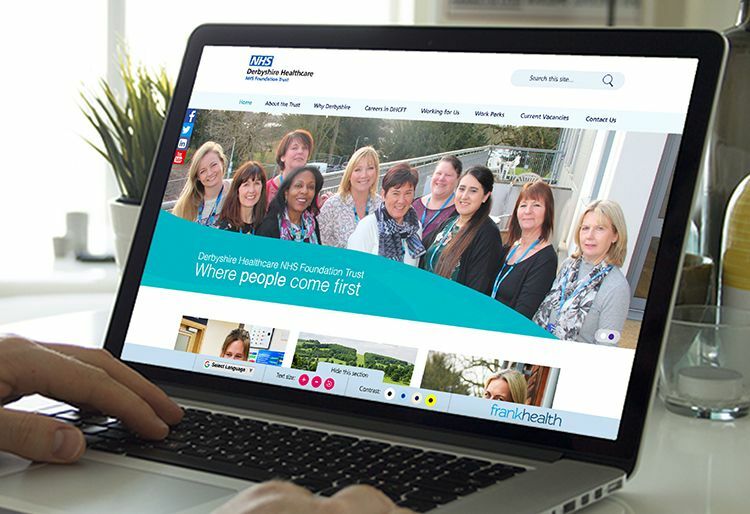 “Many thanks to all the team at Frank for helping redesign the Wessex Healthier Together website. Firstly, they were extremely professional and organised. More importantly, they continued to communicate using webinars/’show and tells’ throughout the design and development process and delivered a product that we are delighted with. 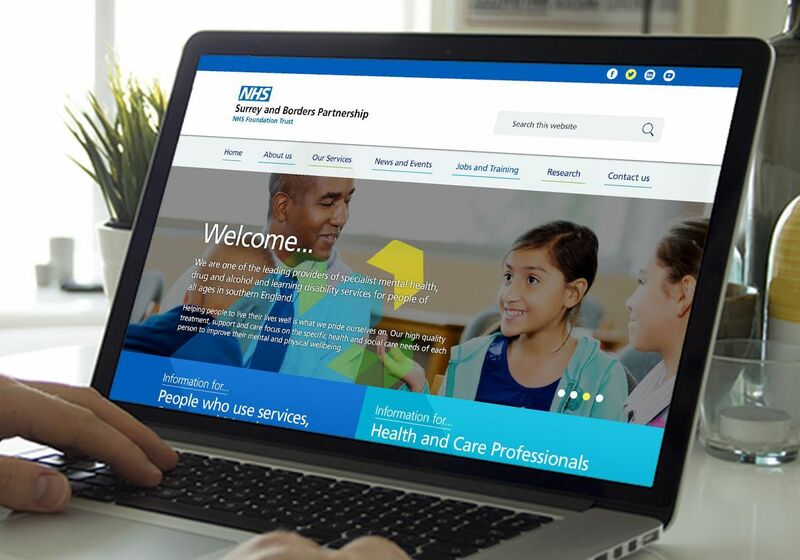 “From the beginning of the project, Frank interpreted the brief for our public website perfectly, incorporating the new NHS branding guidelines into a visually simple design that is both eye-catching and functional. From presentation of initial design concepts, through development, to delivery of our finished website the project has been very professionally run. We had named contacts within Frank at all stages of the project. Milestones were agreed at the beginning of the project and there was regular contact between LCHS and Frank which provided reassurance that the project was progressing on time. Once the development work had been completed, the website was placed onto a demo server which allowed us to populate the content before the website went live. 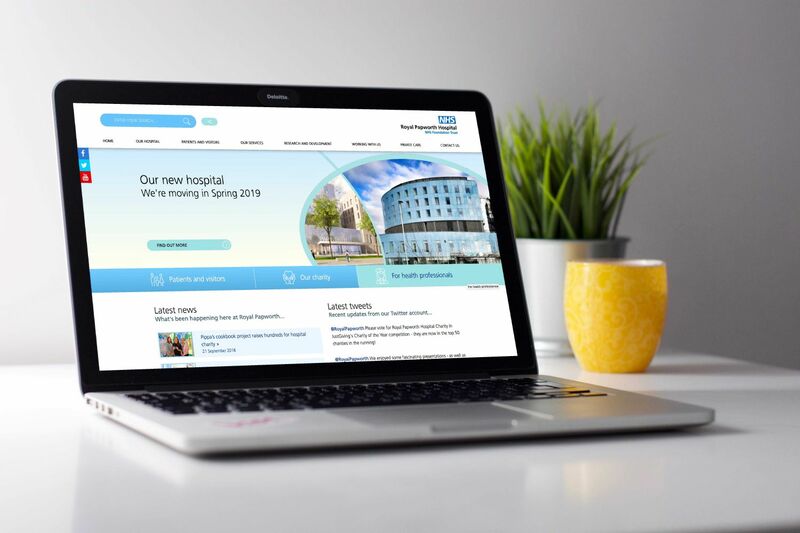 It was obvious from the outset that Frank is experienced in working with NHS clients, the design and content management of the site work perfectly for a NHS Trust. I was impressed from start to finish with the professionalism, responsiveness and value for money throughout the entire project. Having supplied a sitemap to Frank and content for 20 pages, I assumed that only those 20 pages would have been created, but the developers created all the pages from our original sitemap to enable quick and easy content population. Working with Frank on our new public website has been an absolute pleasure and I look forward to working with them again in the future." 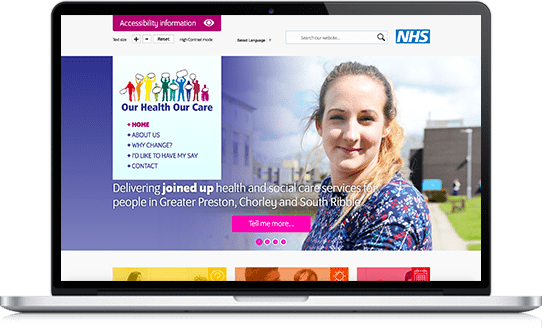 "We contacted Frank with a vague idea of a patient flow campaign we wanted to run at Tameside & Glossop Integrated Care FT. Holly from Frank was fantastic at helping us to consolidate our vision for the campaign and worked with us to deliver posters and a Ticket Home booklet to some tight and ever-moving deadlines. Frank were accommodating and professional and we love seeing the end products displayed throughout the hospital. I would recommend Frank to any other organisation and would definitely work with them again." “As a collaborative programme, efficiency and informed decision-making is important to meeting deadlines. Frank was the perfect solution to supporting us in developing our ideas into a busy public website we could grow into. Everyone involved was so incredibly helpful; their approach was both professional and friendly which meant we were not worried about them working directly with our user group. No question or concern was too small. 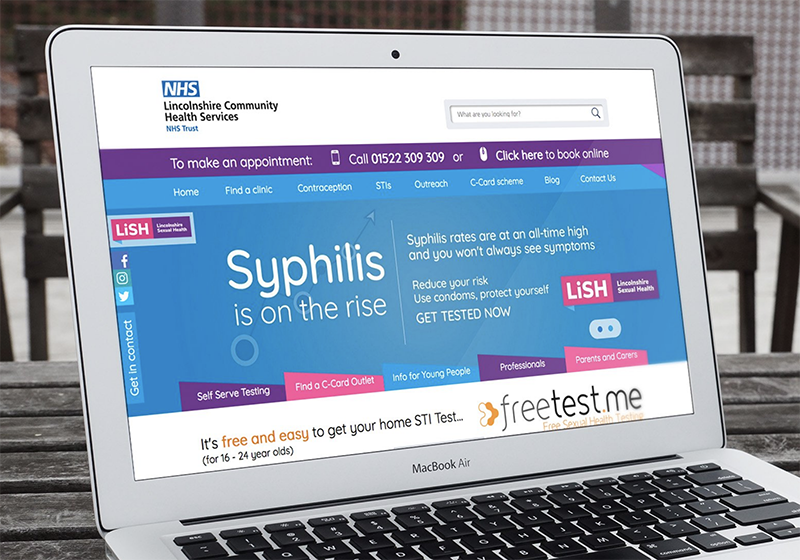 They were able to support us in delivering a robust website in line with our needs, the public’s needs and most importantly, within a very tight timescale. “The team at Frank did a fantastic job in designing the new website against our very tight timeframe. 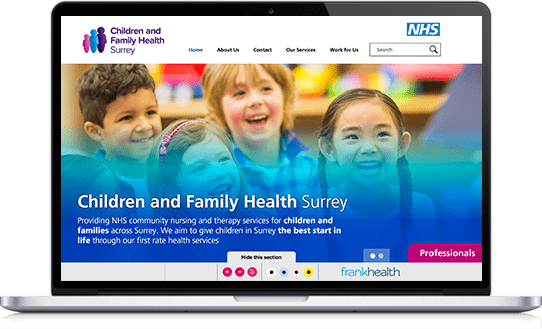 “We had a clear vision for what we wanted our website to look like and the team at Frank couldn’t have been more helpful in making our vision a reality. 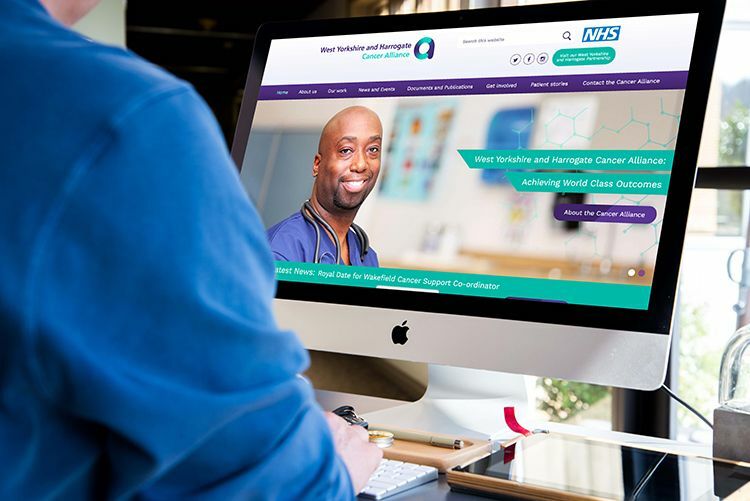 From the outset their knowledge about NHS branding and the proposal for our new site gave us confidence that they could deliver what we wanted and as a result we now have an engaging and simple to navigate website. We found the team to be supportive, responsive and creative throughout and thank you all for making the project enjoyable and stress free! 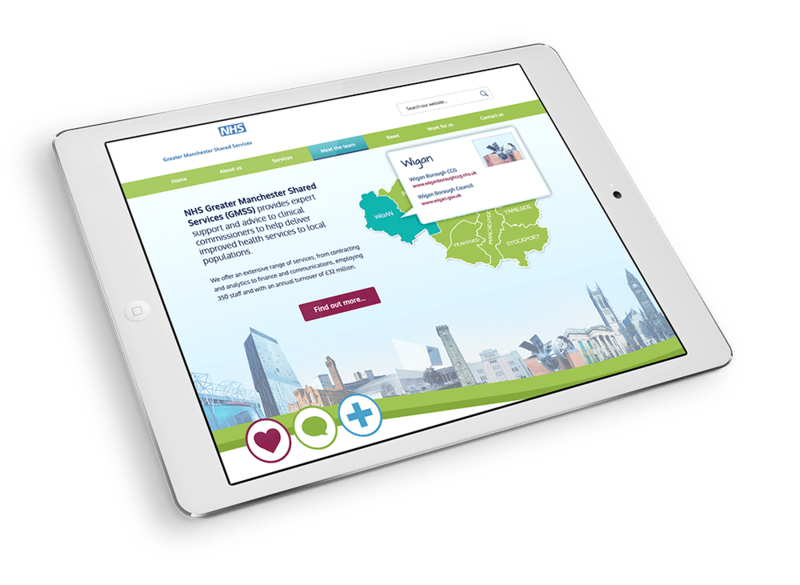 "We appointed Frank to deliver a website and animated film for the Care Together programme in Tameside and Glossop. We had quite a tight time frame and we needed everything delivered by a specific date. This project was made even more complex as it required working with a number of organisations from various sectors. The team at Frank didn’t disappoint - we found then a pleasure to work with; they demonstrated a good understanding of our expectations; they worked to all deadlines and made every effort to accommodate changes when they occurred. 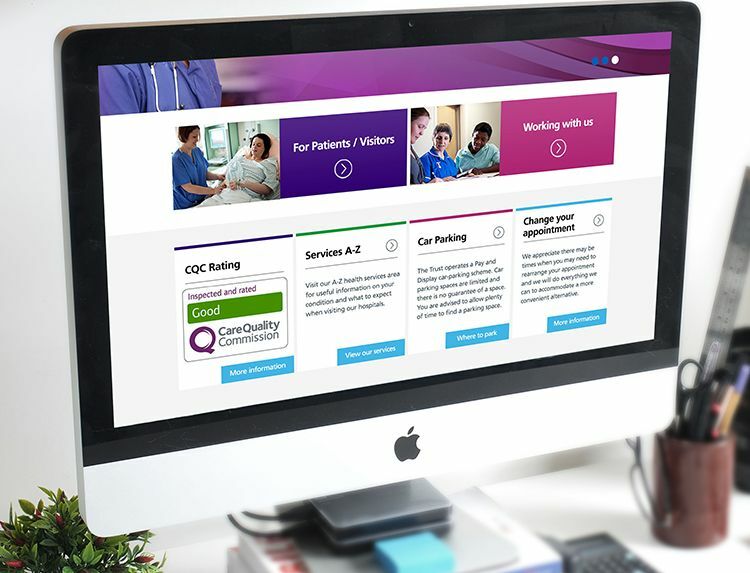 Frank come with a sound understanding of the health and care sector and some of the specific requirements we had for the website and film. This was helpful as they were able to answer all questions and queries quickly and effectively. Communication was good with Frank throughout and I wouldn’t have any hesitation in appointing them for further projects." "Putting your trust in a new supplier to deliver a concept to delivery website within three months might be considered a high risk strategy. But that’s exactly what happened when we commissioned the Manchester-based agency, Frank, to bring our digital vision to life. 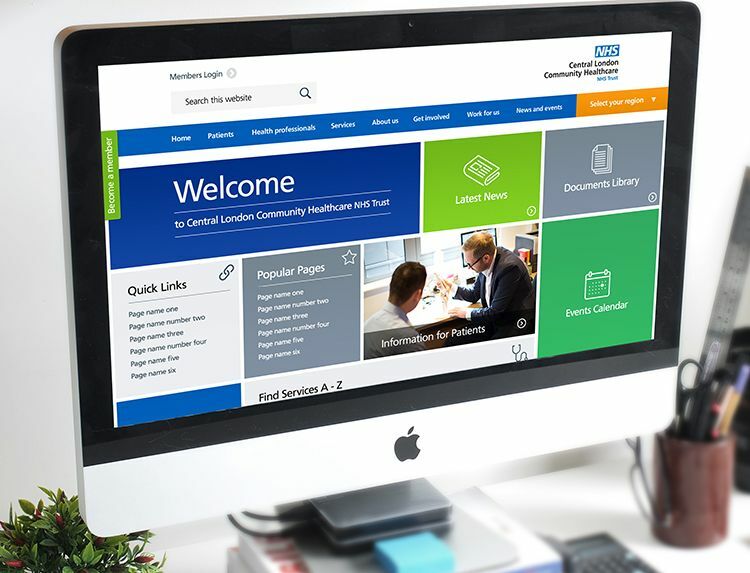 Made up of eight NHS commissioning organisations, Commissioners Working Together (CWT) needed a web presence that was easy to navigate while offering opportunities to interact, including collecting online consultation feedback. “We had a clear vision for the site’” says Helen Stevens, associate director for communications and engagement for CWT. 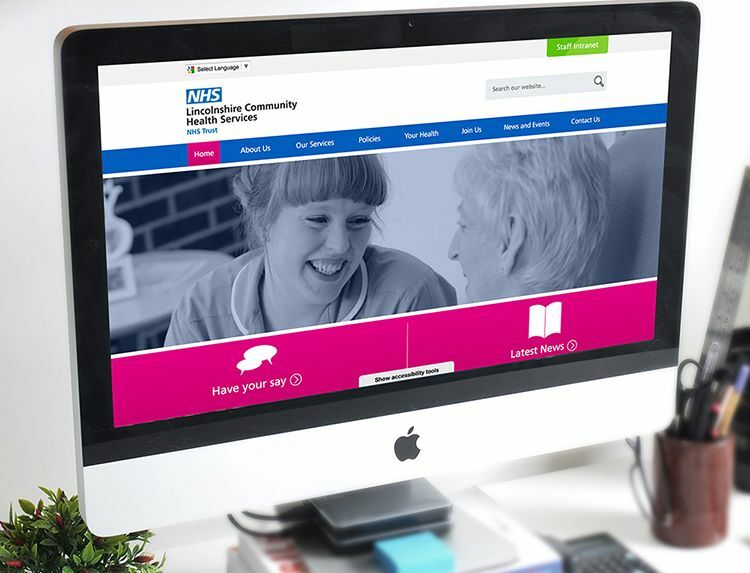 “We wanted a clean and simple design, with plenty of white space backed up by a content management system that was easy to use. When Frank pitched to the assessment panel, which included two people from Sheffield’s Involve Me network and the clinical lead for the programme, their proposal gave us confidence that they could do exactly what we were looking for." Working to a tight timescale, the team at Frank was helpful, accommodating and creative in their approach to delivering the brief. We worked together online to share resources and keep all the team up to speed on progress and next steps. The build could not have been smoother – with the only hitches created by Helen as she got to grips with the Content Management System. I’ve used a few content management systems and find Frank's incredibly intuitive and so, so simple. At the handover, I needed to connect with the design team a few times to make sure I was getting things right and they were always quick to respond and talk me through how to get the task done. "Really positive experience working with Frank, the project team were responsive and kept everything on track, and the marketing designs and collateral produced for the service were amazing." "We enjoyed working with Frank on our new website. The team were extremely helpful and responsive, and we have ended up with a professional, well-designed and easy-to-navigate website that we are all very happy with." "Frank made implementing our new website extremely easy. 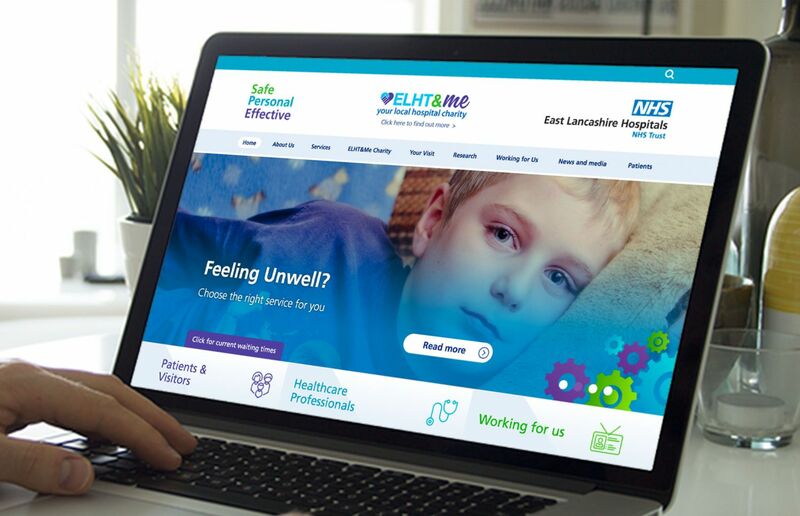 Their excellent project planning and advice, along with their design work and support afterwards has made our website project a real success." "Working with Frank means you get a timely, friendly service from web professionals who really care about their client and most importantly the person who wants to find your information in an easy to use format." "Just to say that the website looks great. Many thanks to the Frank team for putting this together."